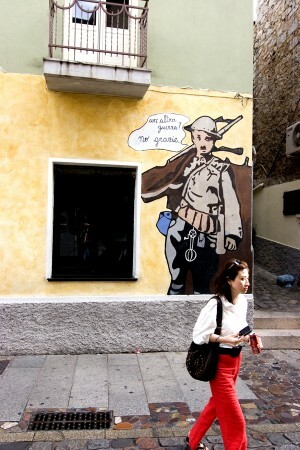 Mural in Orgosolo, Sardinia. Photo by David Lansing. 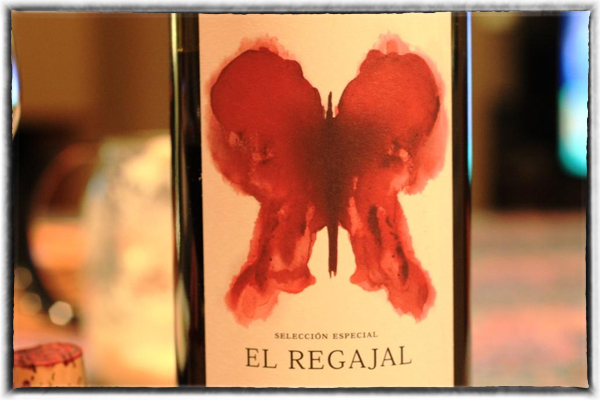 The artwork on a bottle of El Regajal reflects the fact that the winery sits amidst a butterfly preserve. Juan Luis was at my hotel this morning promptly at ten to take me to Finca El Regajal, the small vineyard owned by Daniel García Pita, south of Madrid. It was obvious when we pulled off the highway that this wine country is nothing like Napa or Bordeaux or anyplace else for that matter. We slowly drove down a chalky, rocky road through a chaparral-like country that is, in fact, a butterfly reserve. Daniel would tell me later that there are over 100 species of butterflies here. Later, we went inside his modest tasting room to sample his wines which are blends of Syrah, Tempranillo, Cabernet Sauvignon, and Merlot. His first vintage was 2004 and each year the blend is different depending on the weather and the condition of the grapes. 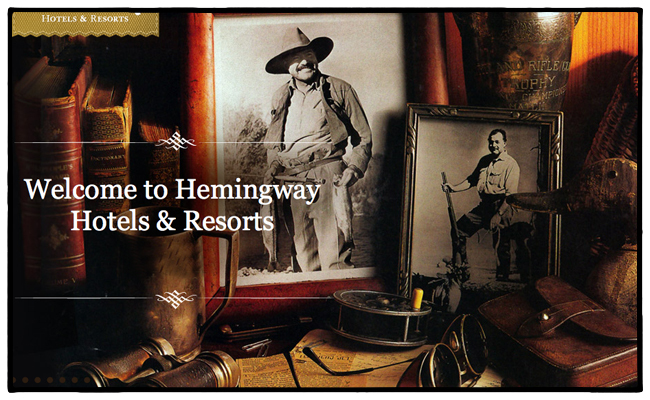 He asked me how I’d heard about his winery and I told him about Mayte Santa Cecilia of Bodega Santa Cecilia. And then an assistant brought out a plate of cheese, olives, and crackers, Daniel cracked open a bottle of wine and we enjoyed the rest of the afternoon sitting in the shade eating, drinking, and watching the butterflies flit about. 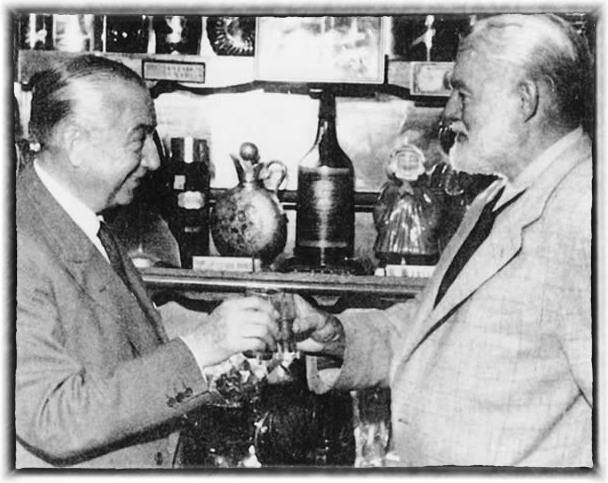 Perico Chicote, owner of Museo Chicote, toasting Ernest Hemingway. The first time I visited Madrid’s Museo Chicote, which isn’t a museum at all but a bar, Franco was still alive and the place was full of expensive tarts—the type that ask you to buy them a drink, not the dessert. Which was a shame considering that back in its heyday in the 40s, it was one of those places, like The Ritz, that everyone went to for a cocktail—Ava Gardner and Frank Sinatra, Ernest Hemingway and Grace Kelly, Liz Taylor and James Stewart. You name it. Since Chicote was just down the street from my hotel, De las Letras, I decided to take a stroll down Gran Via Saturday night to see how the ol’ gal was doing. Guess what? She looked grand. Evidently she’d been purchased a few years back by a young group of investors whose goal was to bring her back to her former majesty. From my visit, I’d say they succeeded. Papa would have approved.